The Rebel Sweetheart. 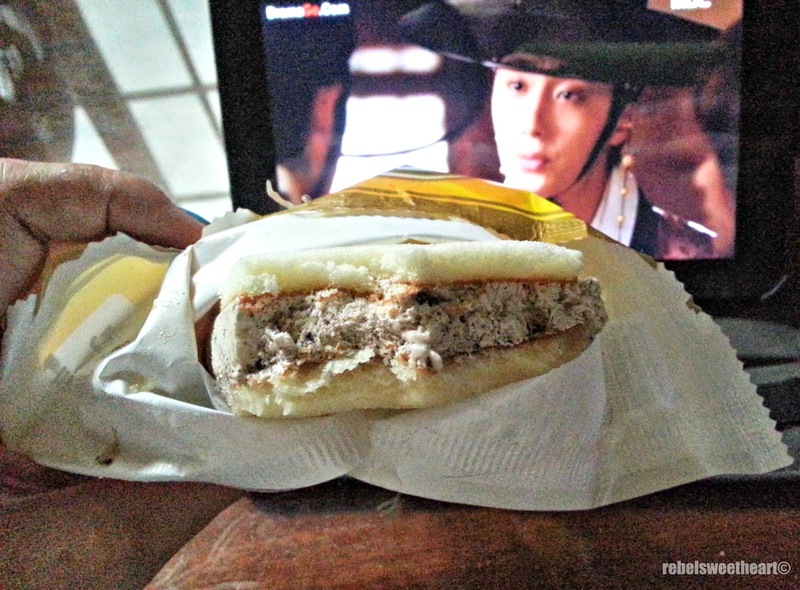 : Foodie Goodie | Binggrae Ice Cream. 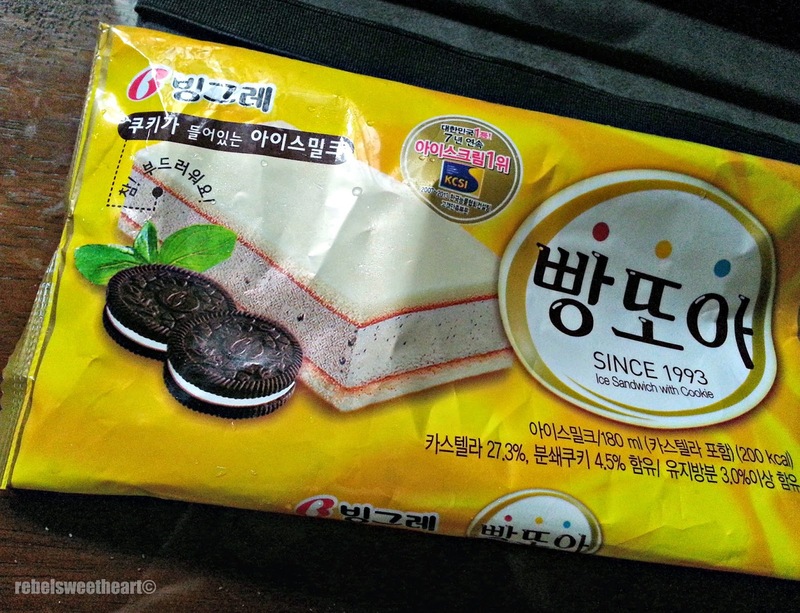 Korea's #1 ice cream brand, Binggrae is currently being sold in various countries around the world, including the Philippines. 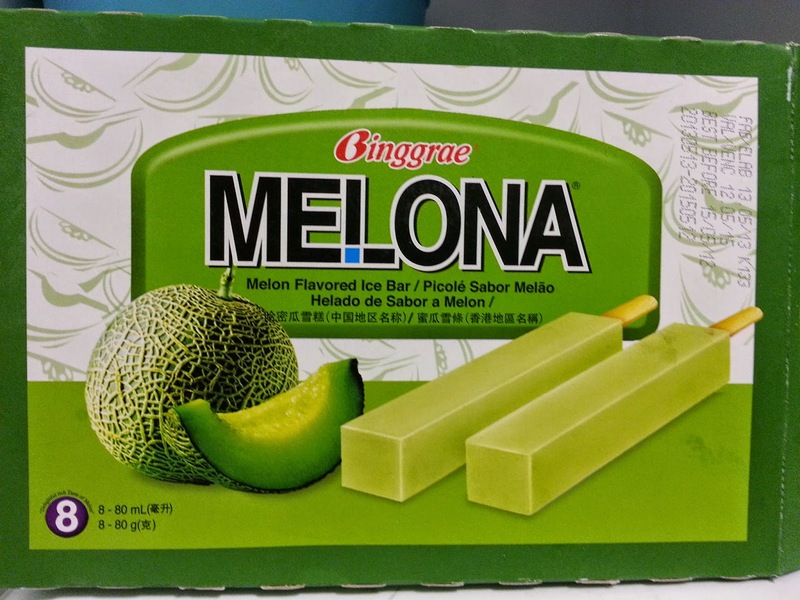 There are several ice cream products under the Binggrae brand, which includes the ever-popular 'Melona' ice pops. Launched in 1992, these melon-flavored popsicles have the bragging rights as the best-selling popsicles in South Korea with more than 280 million bars sold since its debut. Aside from ice pops, Binggrae also has ice cream bars and ice cream sandwiches in their product line. Personally, I prefer the ice cream sandwiches over the bars and pops and these ones are my (our) favorites. Samanco and Melona Ice Waffle. 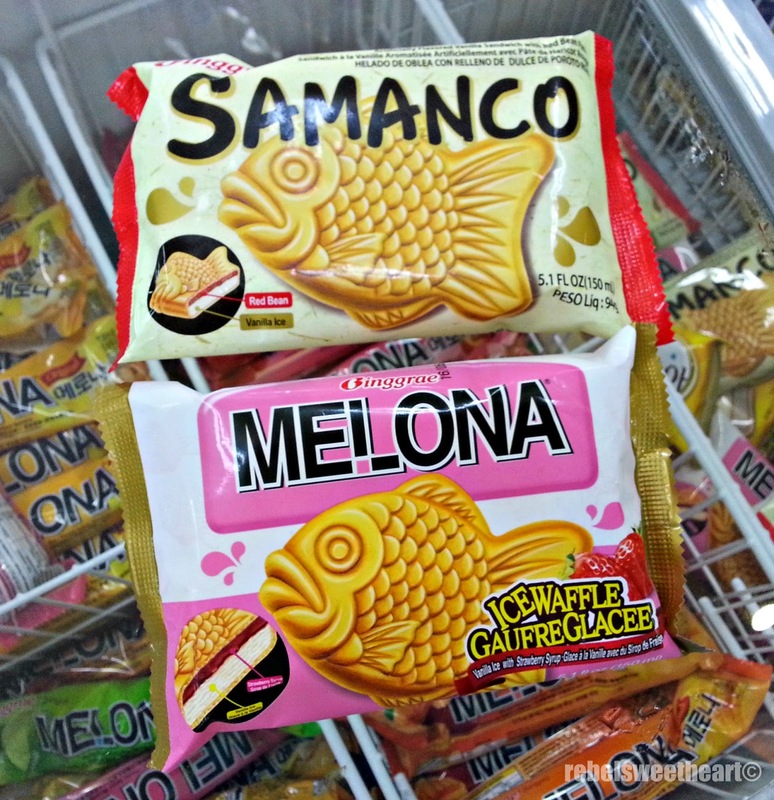 Samanco Ice Cream Sandwich is a fish-shaped, waffle sandwich. 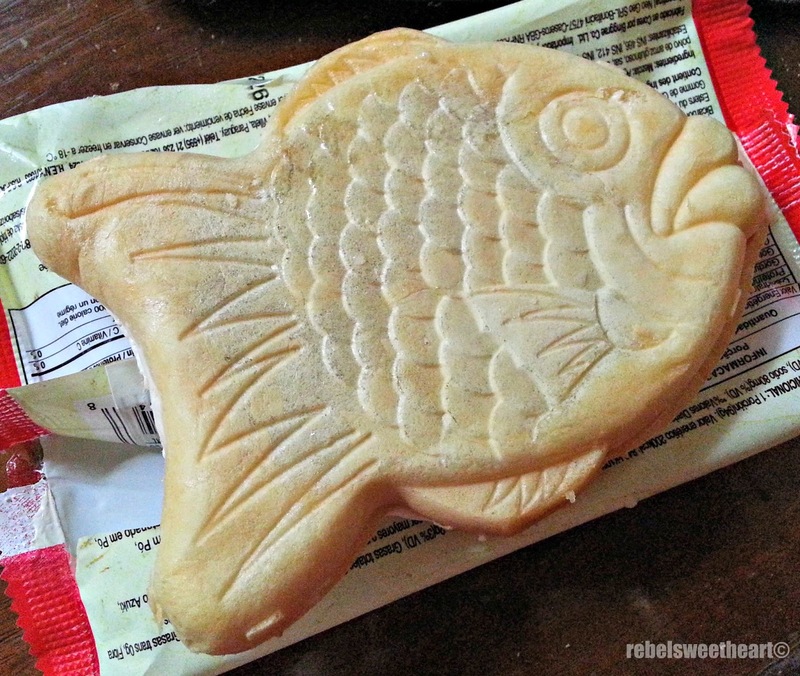 Inside the fish is a creamy combination of vanilla ice cream and red bean paste. This ice cream is actually based off a popular street food called bungeobbang, which is actually Korea's version of Japan's taiyaki. If the red bean thing isn't to your liking, you may opt for the chocolate or strawberry-flavored ones under the Melona brand. They sell for the same price as the Samanco one - Php 47 a pop. 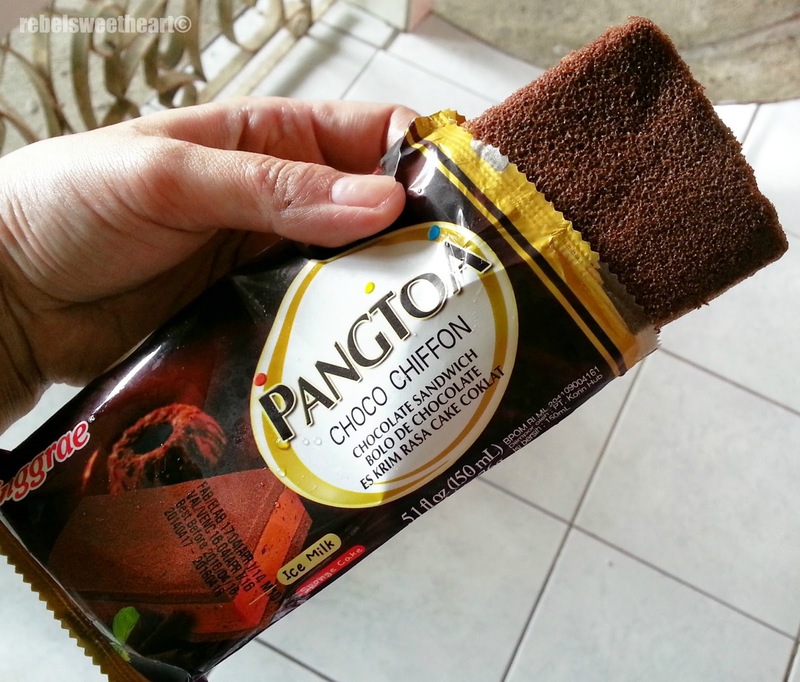 Pangtoa, on the other hand, is ice cream sandwiched in soft chiffon cake. They sell for Php 55 each and comes in three different flavors, two of which I have tried. 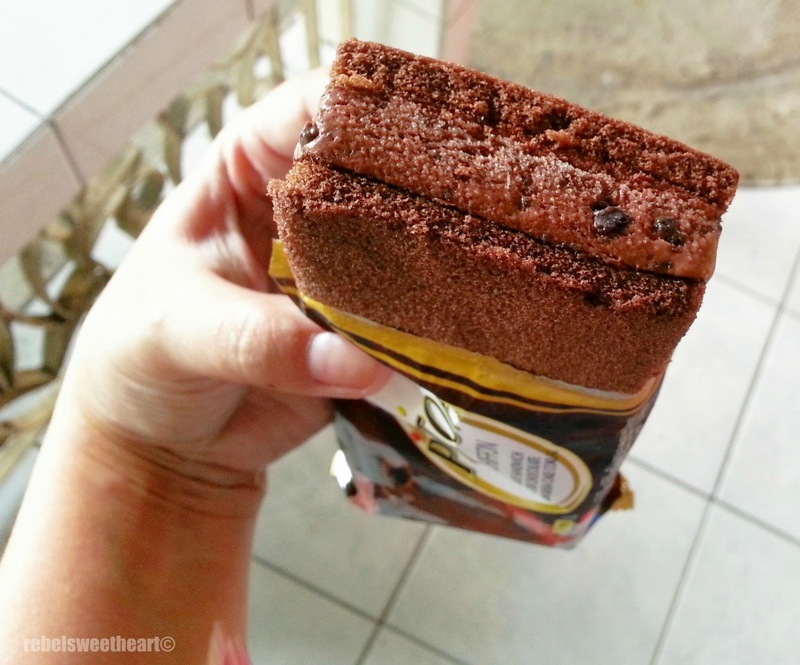 I like how these ice cream sandwiches have just the right sweetness - not too light, not cloying either. Personally, I prefer the Cookies and Cream variant over the Choco Chiffon, though my son thinks otherwise. Soft and moist chiffon cake + cookies and cream. Well, there goes my diet! Haha! Have you tried these ice cream brands before? What's your favorite ice cream? I Can`t really blame you for going off your diet. Those all look yummy! The Melona Ice cream bars, are very good.. i had the Mango and strawberry and i could go for more.. I don't think we have this brand in the US-There is a giant Korean supermarket ear me where my Mom loves to get her fruit and veggies-I wll look and see if they happen to have it there. Yummy! I love a good ice cream bar. These look tasty. I would love to try the Melona ice pops because I love anything melon flavored. The ice cream bars look good too. Thanks for sharing. OMG! Melona ice cream! I've tried that before and I loved it!!! Those look yummy! My kids love stuff like this. They love it when w stop at the local Asian grocery store because they always find a delicious treat they can't live without. Haven't tried the fish-shaped ones, but I tasted Pangtoa in chocolate. My husband and I love the fish waffle with chocolate. :) It's sooo good! Always a grocery buy!